How do you define success in your own words? What does success truly mean to you? You may have some clear ideas of the goals you want to achieve right now. Maybe you’ve written up some health and fitness goals, career goals, or general life goals. That’s an amazing first step towards getting clear about what you want so you can get ready to take action and live a happier and more fulfilled life. No matter what stage you are at in terms of reaching your goals, it’s important that you take a step back to really consider whether you’ve chosen the right ones. Are your goals a true definition of success for you? Do your goals define success in your own words? Have you made a goal setting mistake like this? Are You Figuring Out What’s Really Important Here? 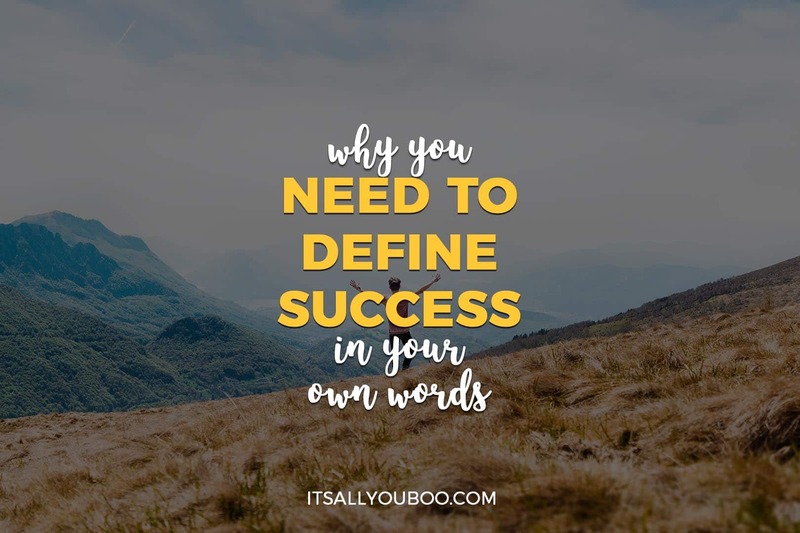 Today I want to highlight three amazing tips that will really help you define success in your own words. You can consider these when you’re either setting or reassessing your goals. They may change your perspective on what success means to you and I hope they will allow you to enjoy the journey along the way. The absolute most important factor in successful goal setting (in my opinion) is that your goals must be important to YOU. That may sound obvious. However, in the almost 20 years that I have helped people reach their health and fitness goals, I have regularly come across goals that have been set which are not important to the person setting them. 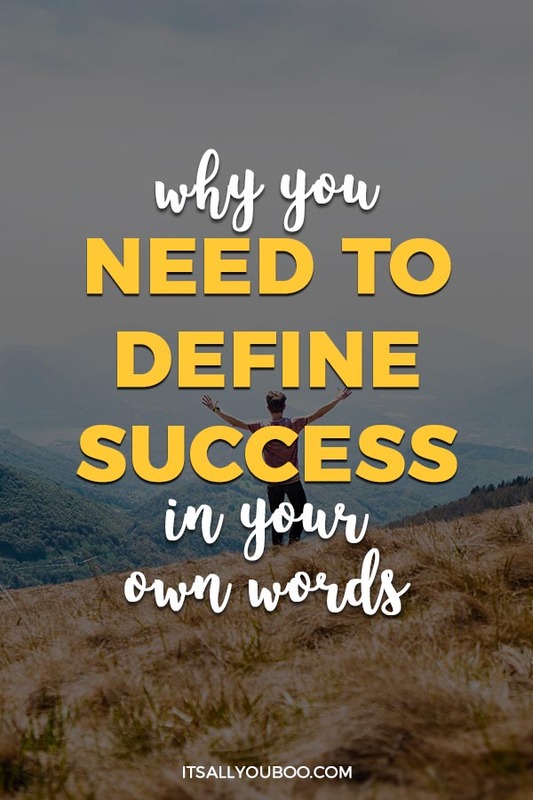 It usually takes a fair bit of questioning on my part to find out if you haven’t managed to define success in your own words. It’s not necessarily something that you’ll realize on a conscious level. Maybe you’ve decided on a goal you want to set. However, upon questioning it could become evident that the goal has stemmed from societal expectations, or perhaps something that a friend or family member has said. Let’s take a look at a couple of examples of goals that tell me you haven’t managed to define success in your own words. A friend wants to enter a 10km run and she desperately wants you to enter with her, so you agree. You then tell me the 10km run event is your goal. However, when I delve deeper I realize it was really your friend’s goal. You simply wanted to support her and not miss out on the fun. The reality is that you probably haven’t gone through the full thought process of setting that goal and planning to achieve it. You’ll be more likely to give up on the goal along the way and might even lose interest in the goal setting and getting process altogether. Bear in mind that there are other ways you could support your friend to achieve her goal aside from adopting the goal yourself. Another example of a goal that is not important to you could be centered on a comment made by someone else. Maybe a family member casually says a statement that includes the words “when you fit back into your pre-pregnancy clothes”. Upon hearing this comment, you may sub-consciously set the goal to fit back into your pre-pregnancy clothes, even if it is something that is not really important to you. External pressures and comments like this can form the basis for goals that are defined by someone else’s picture of success. So overall, take a close look at the goals you have set for yourself and check that they are really important to YOU. Check that they define success in your own words and that they haven’t been strongly influenced by what someone else wants or expects. Closely related to the previous point is the requirement for your goals to be meaningful to you on a deep level. I refer to this as knowing your ‘why’. Understanding the ‘why’ behind your goals is so important because it’s what’s going to drive you forward to actually achieve them. It’s the emotional part of your goal and is what is going to provide you with intrinsic motivation to push forward and be happy and excited about the journey. Intrinsic motivation is the type of motivation that comes from within. It helps you stick with “goal getting” in the long run. Extrinsic motivation, on the other hand, is a more superficial type of motivation. Examples include “rewards” for reaching mini-milestones. Things like these might help you push on from time to time. For long-term success (whatever that may mean to you) you’re going to need some important internal drivers. To find out your “why” and take another step towards being able to define success in your own words, look at the goal you have set. Ask yourself “why is that important to me” at least three or four times before you’ll get your answer. Do you see how this person’s “why” will really help them drive forward and do what’s important to them? It’s not about a simple number on a scale, but entirely about the reason behind the goal. With a strong enough “why”, the original goal can sometimes become irrelevant too. The person with the 10 kg weight loss goal may, in fact, lose less weight than this but at the same time reach their “goal”. This is because it was really defined by something else much deeper. The intrinsic, emotional nature of the goal really shows you have been able to define success in your own words. A 10kg weight loss goal could be achieved via unhealthy practices that are neither sustainable nor enjoyable in the long run. This would defeat the actual “why” behind the goal because it doesn’t achieve the part that actually holds meaning to them. In the case of our example it is to “…lead a fitter, healthier life….live life to the fullest and have plenty of fun…” Ultimately, the goal here is not really about the 10kg, but this can become a welcomed benefit from an intrinsically formed goal. My third tip for really being able to define success in your own words is about the “big picture” of your life. This is about really getting clear on your long-term vision and picture of success. Do your short-term and long-term goals fit into your definition of success in life? The goals you set for yourself should be relevant to the vision you have of the life you want to live. If you set goals that only have a short term focus and are separate from your overall vision you might find you simply revert back to your “old behaviors” once the goal has been “achieved”. As an example, you could be working towards a short term goal of fitting into your wedding dress. This could very well be a valid goal that is important to you and includes some intrinsic motivation factors. But does it form part of an overall long term lifestyle goal for you? Or will you revert back to your old behaviors once your goal has been achieved (and gradually lead yourself back to the way things were originally?). Look at all the areas of your life to create your overall, long-term picture of success. Think about all the various aspects that will help you answer the question “what is success in life?” Once you really understand what success means to you, you will more easily be able to see whether your short and long-term goals align with your own definition of success in life. What is your overall purpose in life? What will make you feel like you are leading a purpose-driven and meaningful life? How fit and healthy do you want to be? What are the things you want to be able to see, feel and do in relation to your overall health, fitness, and wellbeing? How do you define success in relationships in your life? What sort of partner, wife, husband, mother, father, friend, son or daughter do you want to be? What do you do to contribute towards your community? How do you “give back” to the world around you? What are your career goals? Financial goals? Where do you want to live and what do you want to spend your time doing? What is your idea of a “perfect” day? These are some of the areas to consider when creating your overall, long-term vision. Feel free to include anything else that is important to you and exclude anything that isn’t important to you. Ready to figure out what success means to you and to go after it? This ten-step guide helps you figure out your intentions, set goals and take action to achieve them. Sign up below for your FREE 10 Step Guide + weekly tips to help you slay your goals. Here’s to your health, happiness and achieving your own personal definition of success! 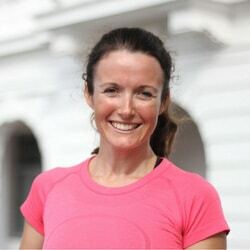 Elly McGuinness has been inspiring people to make sustainable changes to their health, fitness, and lifestyle for almost 20 years. She offers online holistic health and fitness solutions to help people lead the fittest, healthiest life they can. 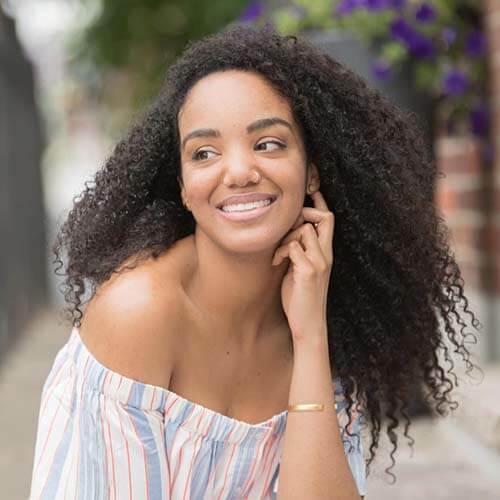 She is a writer for a number of health and wellbeing publications, creator of the Holistic Health Highway, and is the published author of a holistic weight loss book. 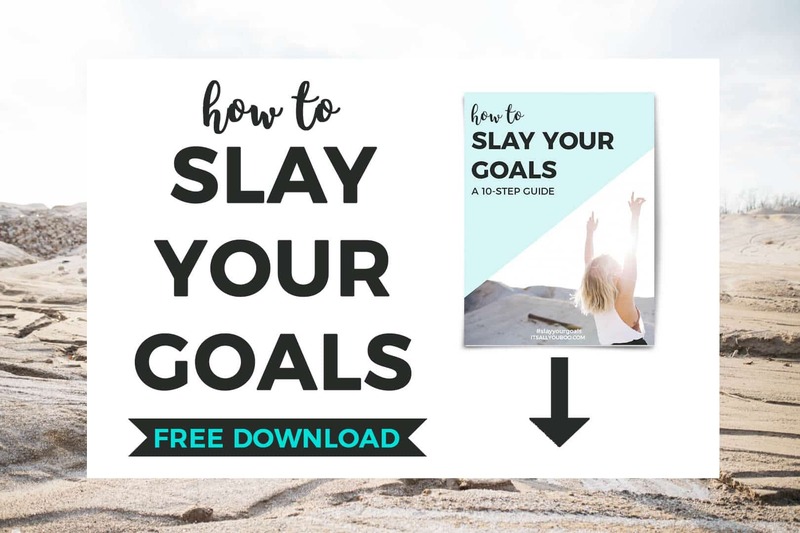 Get the Slay Your Goals Guide! + get weekly tips to help you slay your goals. Success has become so many things for so many different people, it can be tough to get your head around what you want. Get post for getting some focus. Yes, knowing what you want is definitely one of the first steps. One way to get started is to write down all the things you are passionate about and love doing. Write down the things you value and what is important to you and that can be a great start. I think that there are different types of success for different people and for each person individually. Success to me means a stable job, a happy marriage, and being able to live a life I love. We need to stop comparing ourselves and work towards our own goals! The title already hooked me. Success means so many different things to so many people. For me, if i could do something to put an end to animal suffering, even if it’s something small that benefits and helps the animals, its success. Audrey, it’s so wonderful that you know what success means to you. Fellow animal lover here too! I love that you mentioned something that is part of a bigger picture. Contribution, giving back, and being part of something bigger than ourselves is a wonderful thing to have as part of your overall picture of success. I love the quote abt success being a journey. There are so many perspectives on life on what it means to be successful. I love your perspective. For me, I think striving to reach a desirable goal and never quitting, regardless of the obstacles…is success. Success for me is measured differently in different areas of my life. I know I push myself too hard and I really need to look at your tips and redefine and be more realistic. Success is definitely a journey and not a destination. And it means different things to different people. I really need to read this. It is such a good reminder for folks in the world engulfed by the expectations set on social media. Thanks for these beautiful words. Setting goals is exciting- the actual work needed to attain those goals is the difficult part. I have a few goals I need to work harder in achieving. Thanks for the motivation! So many of us want “success” yet don’t actually take the time to figure out what “success” is and means to THEM. I love this post, it’s inspiring. This is such a good article! And such a good reminder for me! Thank you! I agree and really do think you have to want the goal for yourself in order to be passionate and motivated enough to reach it, especially in the face of obstacles. I also think for our several overarching goals in life, they should be ones that we really believe in and are goals we can accomplish. Well said Patricia. Yes, I think it’s important to find that healthy balance by challenging yourself in a way that is really going to add value to your life without allowing yourself to feel let down in the process if things don’t work out as planned. For any kind of success, we should know what we exactly want. 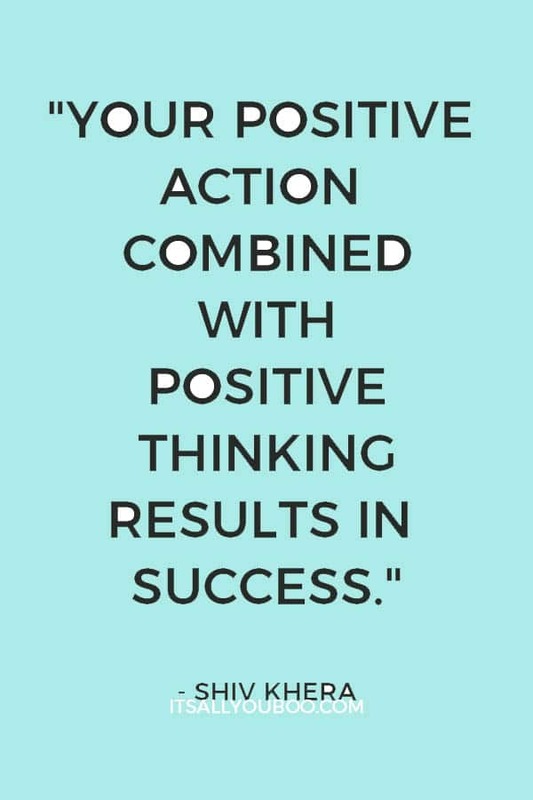 By having a positive thinking, we can create a life we all desire. Such a great read. What a great post and something to really think about – I love where you mention that your goals need to be important to you and no one else. So true! And getting to the real reason you want to achieve them is vital to your success. I really loved all of these helpful tips and it really got me motivated. Thanks so much for sharing! Yes, I agree with all of this! 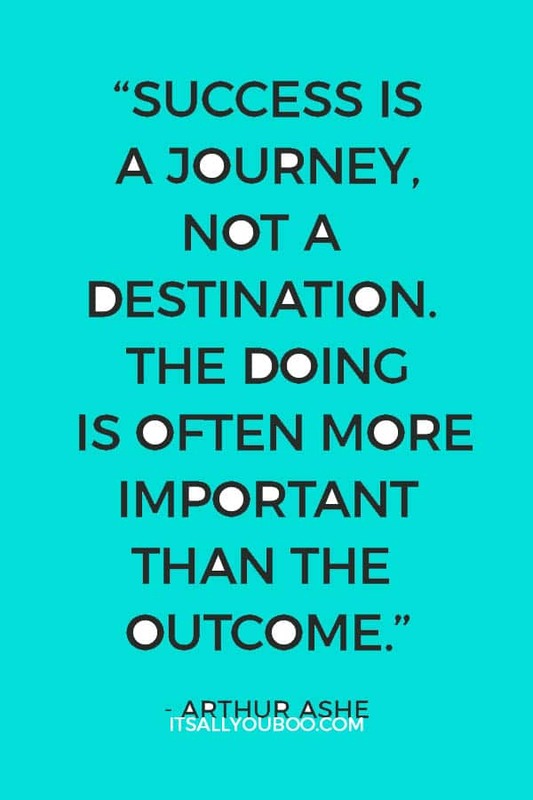 I love the quote about success being a journey…so true!! This is soo good! I think it can be super easy to get our goals mixed up, and I believe that if we focus on ourselves and our own work, it will be a lot easier to stop comparing ourselves to others. Such a great post! Yes, totally agree Liz and glad you liked the post! I am beginning to feel that success isn’t measured by a dollar amount. I am now measuring success by how happy I am doing the work that I am doing. And if that makes me happy then I may acquire more work which will support me financially. That’s so wonderful to hear Pamela. I believe that life is too short to spend most of it doing work you don’t enjoy. So I love hearing that you are focusing on work that makes you happy. Start with the things you love and enjoy, and work the other stuff out as you go!